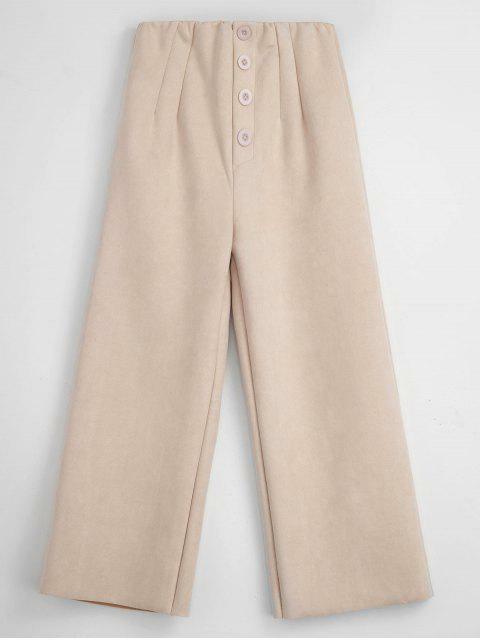 [55% OFF] 2019 Raw Cut Faux Suede Wide Leg Pants In BLANCHED ALMOND | ZAFUL .. 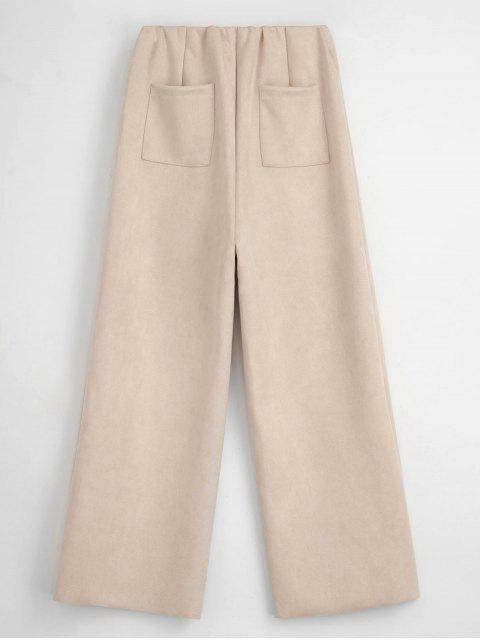 The soft faux suede fabric is cut to a wide-leg silhouette we love, especially when paired with mules or heels. 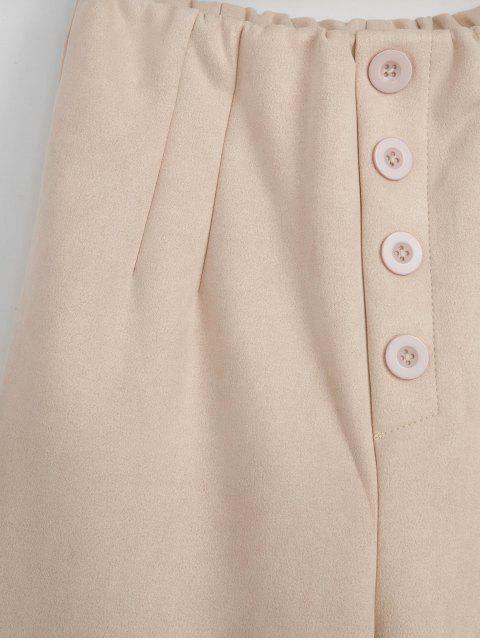 It features an elastic waist with decorative buttons and crisp pleats and patch pockets at the back.